Bumblebee is a venomous insect and notoriously ferocious, but in Cao Bang, the bee is one of the most famous cuisines here, reflected the wildness and simplicity of the people here. The bee larvae after being separated from the hive are usually fat and white. The best way to cook is to fry with sour asparagus, which is fat and sour and crunchy from the bees and the asparagus. The next best is to make porridge with bees. Autumn is the best time of the year to catch the bees. They usually bring back the hive, the big ones are used to soak in wine, and the smaller ones are to eat. Cao Bang has the right weather and the right soil to grow the best soybean in the country. The soybean is highly nutritious (consist of mineral, calcium…) and also fat and can be deliciously cooked. The tofu making process of the Cao Bang locals are quite selective. First of all, you must select the best soybeans with the grains are fat and round. Soaking the beans in cold water for them to open, removing the shells, you need to grind the beans into flour, mix with water, take the water only and thrash what’s left. The additional ingredients to concrete the tofu will be sour leaves (lá chua) from the forest. The leaves help the tofu to be fat, solid and tasty. Making the sour leaves water and pouring into the soybean water, boiling it up so the soybean water can be solid, removing the soybean by using a bucket with a towel on top, taking the towel off, and you have a delicious piece of tofu. From tofu, the locals make many wonderful cuisines which are good for your health and also delightfully tasty. Some cuisines would be fried tofu roasted with tomato sauce, fried tofu dipped with lemon fish sauce or shrimp sauce. Cutting the tofu, pouring the tomato sauce on top, and you will have a delicious cuisine ready to be served. The locals also make soup using tofu and other vegetables, or fried tofu with bacon, or sour tofu. Depends on what you want to eat that day, tofu will can fit right in. 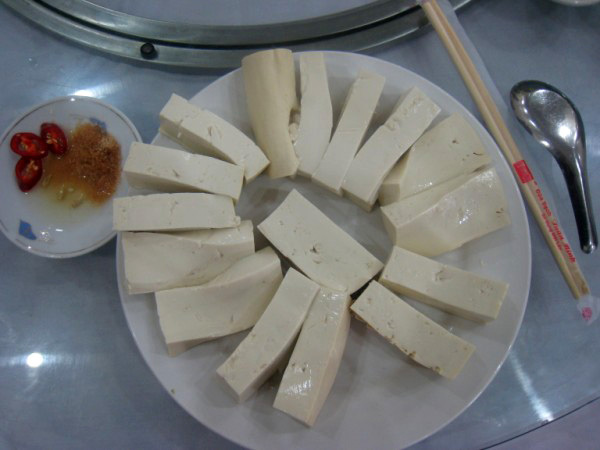 Nowadays, there is a new dish: tofu before it is solid, use it to mix with hot pot broth. The sour Phở of Cao Bằng is definitely held the limelight spot of Cao Bang culinary. One of the best dishes in Vietnam, Cao Bang Phở is a cool, flavorfully abundant and it is suitable to eat during autumn or summer. Used to be served in special events, the sour phở is now served as breakfast. Cao Bang phở is special thanks to its rice vermicelli’s softness, the fleshy of the livers, the fat of bacon, roasted duck, the spicy of chili, the extra fat of peanut, and the aroma of the pork’s intestine. In the summer time, it is good to have the sour of the sauce. The first time, you may find it peculiar, but the next time, it is nothing but delicious. During April or May, the Tay people usually go to the jungle and find ant’s eggs, bring back and make cake with it. 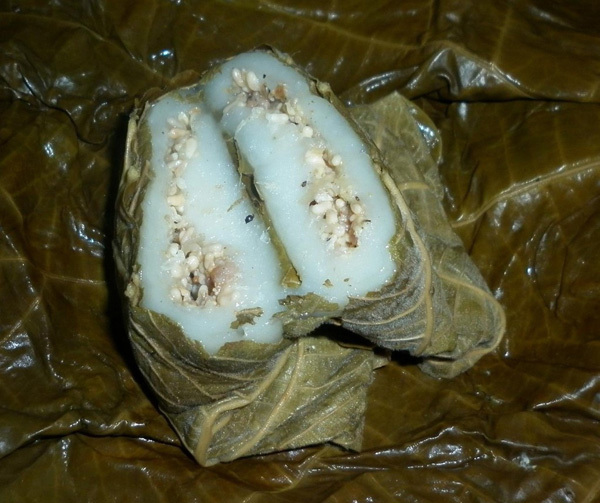 Ant’s eggs cake (in Tay is pẻng rày) is made of flour, ant’s eggs, and fig leaves. The eggs are highly nutritious and fat. To make the cake, the locals have to go to the jungle, and not any ant will do. They only collect the eggs of the black ant, which are the only eggs that are edible. The Tay usually calls the ant “tua rày” with small body and pointy tail. The ants move quickly and usually nested on top of bamboo tree. The nest is also black, round or oval, and sticks very hard to the tree. 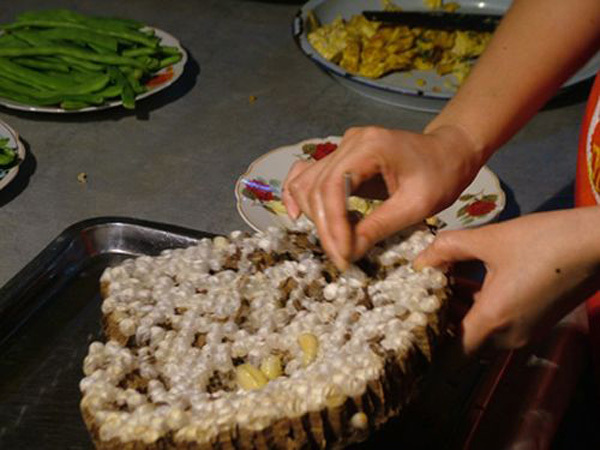 A big ant nest can extract from two the three bowls of eggs, and beside from the cake, the eggs can be used for the fried sticky rice buns, “rày” cake, or to fry with garlic and onions and eat with rice. A cake is delicious thanks to the fat of the eggs, the bold flavor of onions, and the fleshy of fig leaves. However, this is a selective cake so not many can enjoy it for the first time. You should be careful if you have any diabetes restrains. 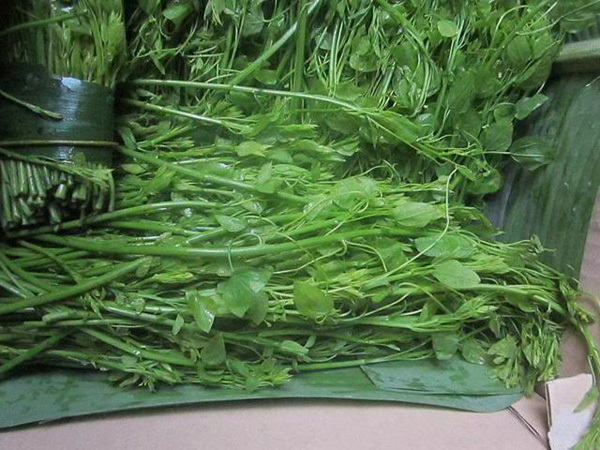 Wild herbs (also known as dạ hiến or bồ khoai) is known in Tày as Phjắc diển, usually can be found in the mountains area of Cao Bang. It is a brittle, long branches type of tree. The body is divided into many smaller branches, which are as big as the chopsticks, strap into other bigger trees to reach sunlight. Although it is a wild herb, it’s not easy to find. From February to July of the lunar year, if you ever go to the jungle and find a handful this wild herb, it is rare. 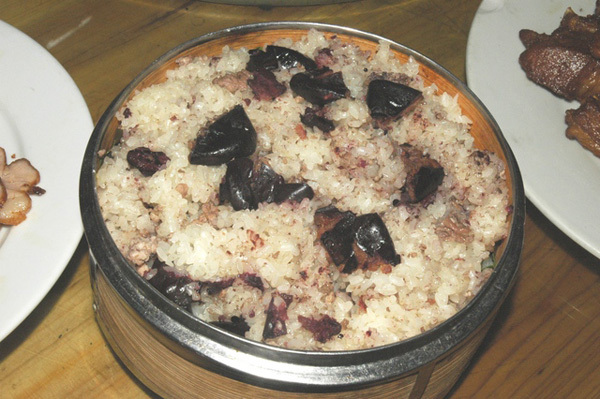 “Dạ hiến” is now a special cuisine of Cao Bang. 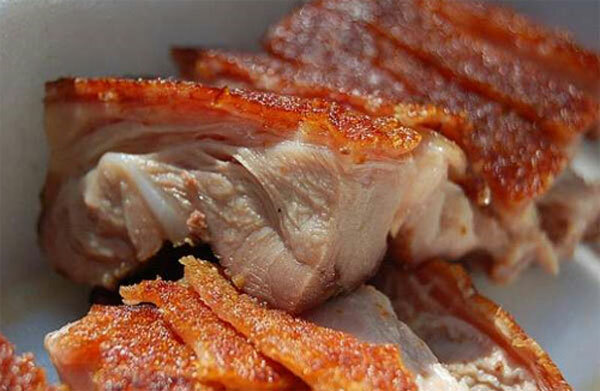 During the spring and summer, at any fiestas, any meal, there is a dish of “dạ hiến”, mix with pork and chicken. It is truly a peculiar dish, and only be found at Cao Bang. The taste is unlike any other herbs, which will make you miss this land even more. Cao Bang has the notorious roasted ducks that many have to come and try out no matter what. The Seven flavors roasted duck using seven ingredients to marinate has become the icon of Cao Bang delight culinary culture. 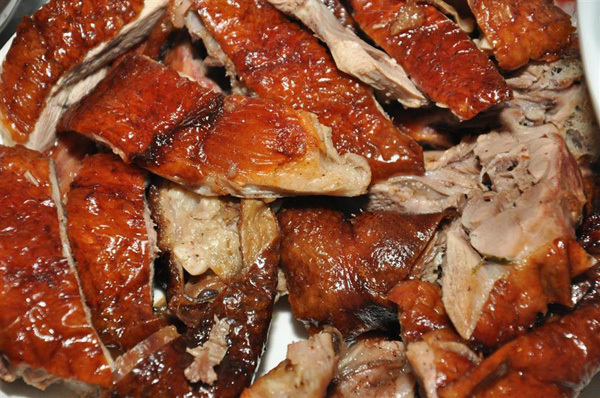 The duck, chopped into smaller, bite-size pieces with the skin is yellow like honey, is crunchy and tasty like the best dish in the world. The meat is tough, solid, and requires some serious slow chewing to not to miss any flavors. The sweet of the honey mixed with the fat of the oil, the fleshy of the solid meat. Every bite will make you closer to heaven. Deepen inside every piece of duck, there are the flavors of the raw leaves, bitter, yet make the meat is even more flavorful. The secret to the success of the dish is seven flavors sauce which is marinated the duck. Many try to find out what are those seven flavors are, but there are countless types of herbs out there. Some try to mimic the dish, but none has success of doing so. Only the Cao Bang people do. During the winter in Cao Bang, there is a very strange, delicious, hot that will suppress the cold of the mountainous area. The dish looks very much like fried Chinese donut, but with many other ingredients, the Cao Bang has made themselves the famous “Bánh áp chao”. The ingredients are rice, sticky rice flour, and duck. The Cao Bang usually says that “nothing is better than duck meat, and there is no feeling tighter than sisterhood.” The dish represents the unity of the extensive family in Cao Bang, where everyone is family. The connection of the family is like the perfect tight of the rice, sticky rice and roasted duck. A perfect combination that is nothing can break. 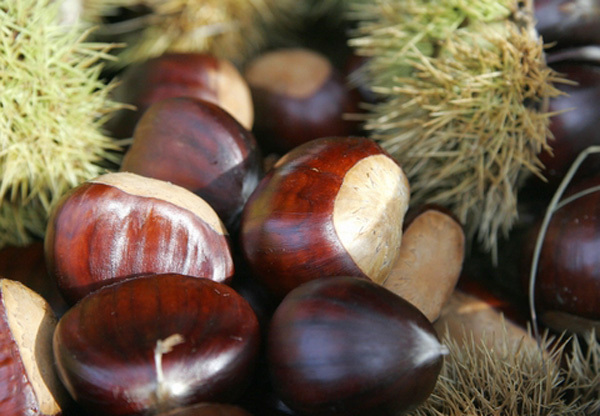 When the autumns come, the Tày and Nùng people usually collect Canarium in the jungle. Only this time of the year that you can enjoy the delicious Canarium fruit sticky rice (khẩu nua mác bây in Tày). There are two types of Canarium: black and white. The white Canarium is used to make jam, candy, cure coughing, hangover; the black Canarium is used for braising fish, make sauce, cook with tofu, and cook with sticky rice. The Canarium sticky rice is simple but nutritious, fat and fleshy. If you cannot make the sticky rice, you can collect the Canarium, soak it in warm water, dry the flesh and jar it. Cao Bang has a lot of cow especially in Ha Quang, Bao Lac, Bao Lam districts. Coming to the highlands of the North, you should definitely try out the famous Hanged-on-the-ceiling Beef jerky of the people here. The beef is marinated with salt, ginger sauce, and white wine. After marinating, the cook will hang the beef on top of the kitchen ceiling. The Tay and Nung people kitchens always have warm fire regardless days or nights. The fire, the smoke will gradually dry the meat. After half a month, the jerky is ready. Before eat, they will soak the beef in warm water, clean and slice the meat. Putting the meat in the hot frying pan with a bit of oil, garlic, the cook will wait until the meat is solid again, take it out, and braise it with water. The meat is red and brownish, dry but soft, and the more you chew, the sweeter it gets. The sweet of the beef combines with the spicy of ginger is perfect. A glass of wine will make you over the moon. 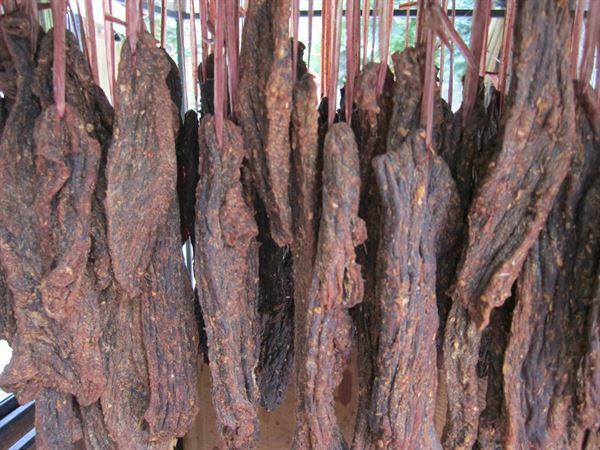 Coming here to eat the beef jerky, you should not forget to bring back some bags of beef jerky as gift for friends and family so that they can also share with you the experience. The cake making process requires meticulous techniques. Anybody can make it, but to perfect is not an easy task. The baker is the artist herself. Making the cake is also fun. Everybody in the family can join hands and make cakes. The elders can do some light job while the young can do the heavy lifting. Even the neighbors can come and join hands. All work to celebrate the Tet is coming. 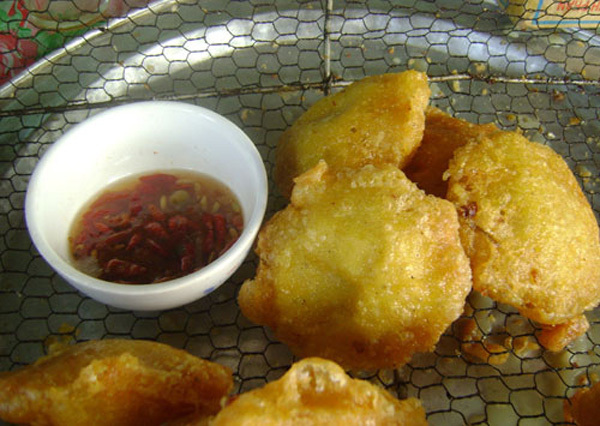 Cao Bang also has a very famous dish: the fried catfish of Gam River. 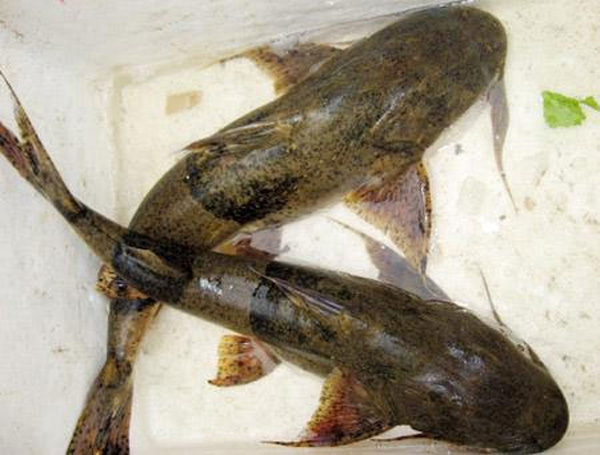 The black catfish is the best to prepare the dish, and its fame is even known by people in Hanoi. 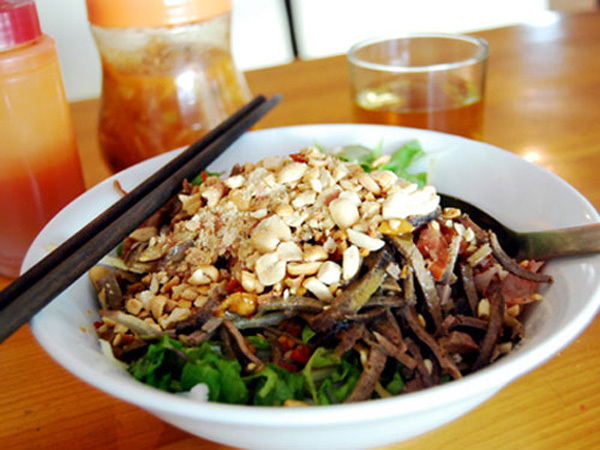 Its intestines are considered the best by many food lovers in Vietnam. Some are weighted over hundred pounds, and not easy to catch with the net because they live under the muddy water. The locals usually set up camps, and just wait for the fish. 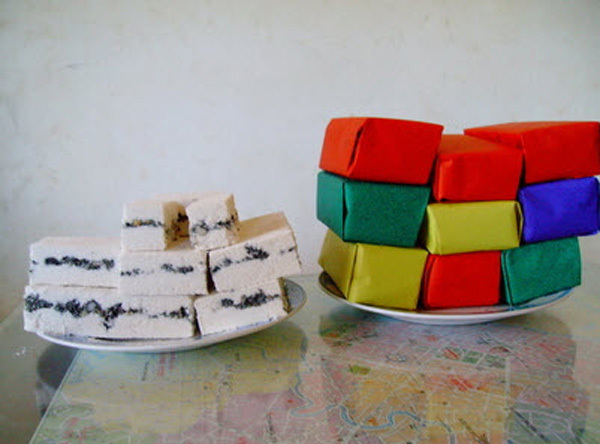 “Nằm khâu” is served only in wedding or any special events in Cao Bang. The dish is made of bacon and taro, which are sweet and fat. The dish requires an expert hand, and eating the dish requires art to do it. Always eat this dish hot, and when eating, you will want to eat the entire piece with taro and herbs together. Many maybe afraid of the giant piece of meat, but all you want is more.